If your business makes it’s money by investing and developing property, then you will need a means of ensuring that your investments are protected against would-be thieves and vandals. 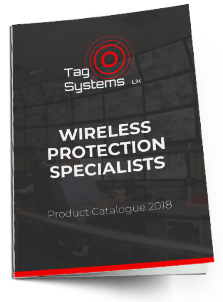 Here at Tag Systems we provide a number of different products which can provide exactly the required protection. Our reliable building and property security system will give you peace of mind. When we consider how we might reduce the likelihood of a break in, we should ensure that we minimise the potential reward of a break-in, while heightening the risk of being caught. Unfortunately, if your business is focused on renovation or on building new homes from scratch, then you will be inherently more vulnerable, since all of the physical barriers that normally deter thieves such as walls and doors may not yet be in place. For operators of large construction sites, these problems can be addressed by concentrating technologies in a single place, and by maintaining a large team of security staff to keep a constant watch. For property developers, however, this approach might not be practical. If you are not running one large construction project, but several hundred smaller ones, then it can be impossible to effectively safeguard them all using the same approach. A leaner, more mobile solution is called for. Here at Tag Systems we have developed exactly such a solution. CCTV is an excellent tool in the battle against crime and our property security systems utilise innovative technology. It allows us to monitor and prevent break-ins before they occur, and to collect evidence about wrongdoing as it’s going on. Wires are a serious impediment to effective CCTV. They are costly to install and implement, and present a tripping hazard. Furthermore, they can be easily sabotaged by an enterprising thief with a pair of pliers. A wireless solution like the one we offer is therefore preferable. It’s entirely self-contained, with all of the computer hardware being located in a compartment at the base, powered by a generator. From the top of this base unit extends a long pole with the camera itself on top, ensuring that it can cover a wide area. A major benefit is that they are virtually completely resistant to intentional sabotage. Business owners are then able to view security footage remotely via their tablet or desktop machine. Tag System’s remote monitoring station can provide 24-hour surveillance of all of your cameras, ensuring that any break-in events are observed and reacted to in real time. The systems can even be integrated with our wireless alarm systems – ensuring that your sites have the best possible protection. The key advantage of an approach such as this one is flexibility. If you are running several different sites at various stages of completion, then the ability to easily migrate a security solution from one site to another (without dealing with costly wiring and installation problems) is invaluable. This is why so many councils, rail developers and other construction firms use security towers: with just a handful of them, you can provide protection for a constantly evolving pool of construction projects, ensuring that even the most remote of them is provided with high-level security. A building security system that is efficient and bespoke to your needs.